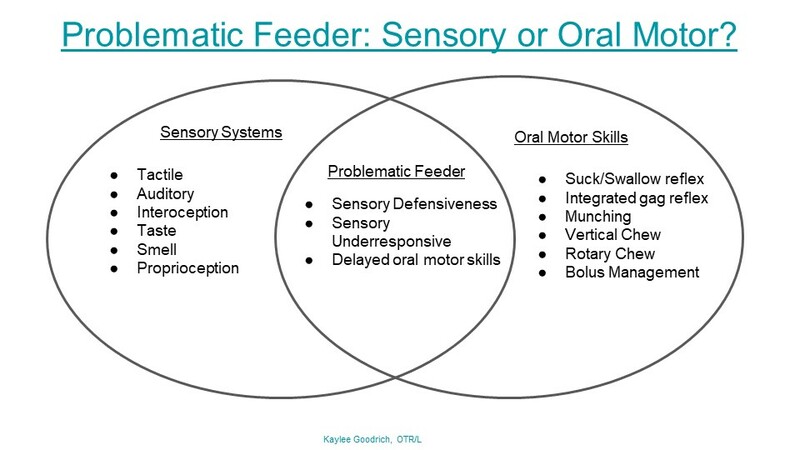 Pediatric Feeding: Is it Sensory, Oral Motor or Both? Below, you will find a blog post on pediatric feeding therapy and answers to initial questions about feeding therapy such as "Are pediatric feeding issues related to sensory needs, oral motor problems or both?" and thoughts about where to begin with pediatric feeding therapy techniques. 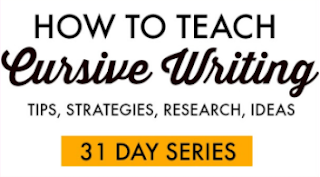 This article was written by The OT Toolbox contributor author, Kaylee Goodrich, OTR. When I was in grad school, we had one, three hour lab on feeding, and were told, Speech would handle feeding, so don't worry. Little did I know that what I thought was going to happen, was very far from reality. 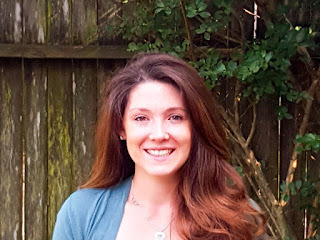 When a child enters a therapy clinic for an OT feeding evaluation, we are prepared for sensory deficits to be present. What we are not prepared for in school, is the potential, and probable oral motor component. This is a skill that most of us learn on the job, in trial by fire, with limited guidance. Or, so was my experience. Due to the high level of overlap between Speech and OT when it comes to feeding, this often is a problem that OT’s face. Depending on the setting, and even the facility you are in, can determine whose job it is to handle feeding clients. 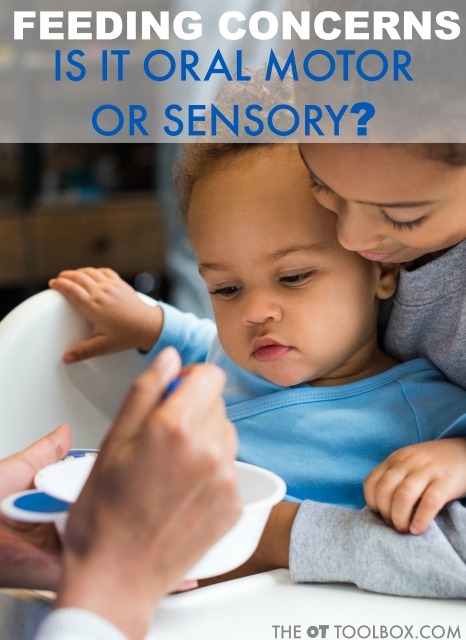 A majority of professionals maintain that if it appears sensory based and the child has a limited diet, eats only certain textures or colors, it is for OT. If it appears oral motor in nature and the child cannot chew or manage a bolus well, it is for Speech to handle. Herein lies the problem and common misconception about problematic feeders. Feeding challenges are more than just sensory, or just oral motor. It is both sensory and oral motor based. 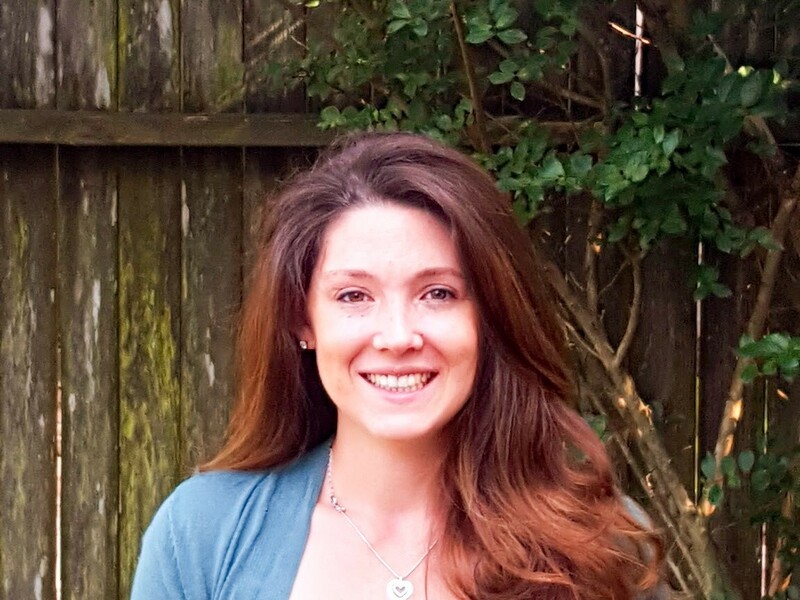 This can lead to a very challenging, and complex situation for an OT who is new to feeding. When a child limits the textures and variety of foods they eat, they limit the growth and development of their oral motor skills. Let's take a child who eats only pureed foods, and refuses solids of any kind for an example. Oral motor skills needed to eat a thin puree off a spoon and to eat a carrot stick are vastly different. Puréed foods require minimal bolus management of a thin food that quickly runs down the esophagus with minimal effort. The puree is also smooth, eliminating any scary “texture” for the child to manage. The carrot stick, on the other hand requires the child to have awareness of his mouth, tongue, and bite pressure before even creating a bolus with the bite of carrot. The child also has to manage the bolus and break down of carrot efficiently while chewing and then swallowing. Add in the sensory component of crunchy, wet and constantly changing size of the pieces of the carrot, and the child can become easily overwhelmed. And so, the vicious cycle of a limited diet begins. 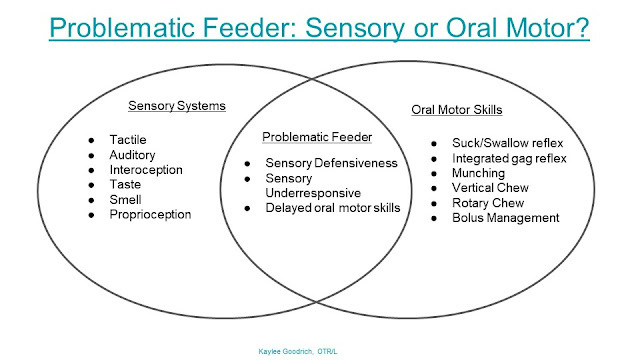 Lack of confidence with oral motor skills and sensory deficits can lead to problematic feeders. The above example is a frequent experience that many OT’s have faced when completing a therapy feeding session. With lack of exposure and continued refusal to attempt new foods, the child’s oral motor skills are never able to develop to support the trial of new foods continuing the cycle. As occupational therapists, it is our job to help these children become functional eaters through the use of sensory desensitization and remediation of delayed oral motor skills. As oral motor development is a lengthy topic, the next post will address oral motor development and food pairings to determine gaps in skills and provide effective remediation of delayed skills. 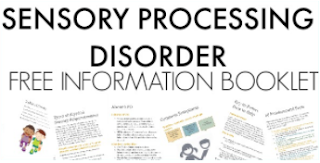 Check out the handout below to show parents and help explain the overlap of sensory processing and oral motor skills in problematic feeders. Would you like to print this visual guide? 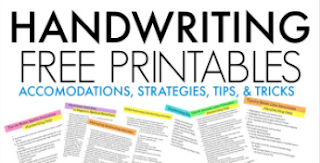 Click here to access the printable pdf in our free resources library. You will also receive weekly newsletters full of therapy resources, tips, strategies, and information. The OT Toolbox newsletter is perfect for therapists and those working with occupational therapists. Disclaimer: Feeding difficulties stem from a variety of difficulties including medical, structural, sensory deficits and skill deficits. 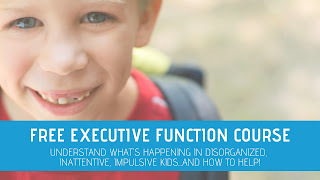 The main discussion of this post is to examine the crossover of sensory and oral motor skills. Medical and structural concerns will be addressed in future posts.